Do you want to be able to quickly go to gather high tier materials in the Black Zone? This guide will explain how to quickly gather up! How to quickly ascend the Gathering? 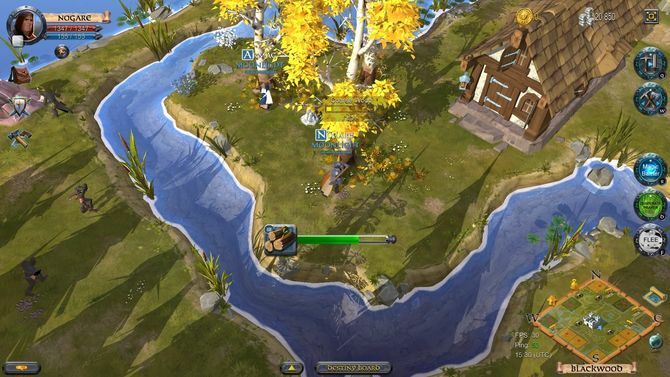 Gathering at Albion Online may seem repetitive and boring at times, but fortunately there are many ways to speed up the process and become competitive! Spend the Learning Points to do the gathering upgrades. If you specialize on a specific resource to gather, the cost of the LPs to complete the Tier is not as high. Using Learning Points can save you hours of gathering and can get you to higher tier faster. Using a mount can be of great help. Depending on the Founder Pack you purchased, you may have the mount on the first day of play. If it is not your case, you can point to the mule, obtained by completing simple quests at the initial village. Using the foods you will get a remarkable boost to the gather. With an increase of 10%, the pies are great when you intend to raise Tier-wide resources. They will also provide you with more "Fame" and more resources. Finally, equipping the gather armor will bring you considerable benefits. This type of armor has excellent skills to escape that will allow you to escape the gank and save your resources. The gathering backpack, on the other hand, will significantly increase your load capacity and will save you from returning to the city frequently. Lastly, it would be good if you were based in a city whose adjacent map is the type of resource you want to gather. There is nothing more inefficient than having to make long journeys each time to reach the place where the resources you are looking for are. How long does it take to get the Gathering up? The times listed below are indicative. The speed with which you will increase your skill will depend on several factors, including how many people are tak- ing the resource you want. What Tool For Gathering Should I Use? The simplest answer is to use the highest tier possible. It is interesting to note that you can avoid gathering resources that are a higher tier than your tool. This goes against the normal logic because the higher tier resources provide more "hunger". If you want to make money gathering, instead of reaching the T9 as fast as possible, you will have to choose the tier to gather based on market prices. Do not use low-level gear! You will always have to try to balance the power with survivability! Do not go to the Black Zones with a Tier 6.2 crew until you can afford to replace it, but at the same time wearing a T4 will make it an easy target. Forget the Ox, they are too slow. The horses will make you move faster and protect you from the ganks. When you gather, you should aim for the highest horse tier that you can afford to lose. If you are in an organized guild you can try to defeat the guardians of the various areas. The guardians respawnano in 48 hours so expect not to be the only ones to want to do it. When a guardian is defeated he will allow you to gather 2560 Tier 6 resources. The resources can be collected in blocks of 10 and you will earn a mountain of "Fame". I hope this guide has helped you improve the efficiency of your gathering. Let me know if I forgot something. If you need more information on where to find the resources, take a look at albiononline.com.